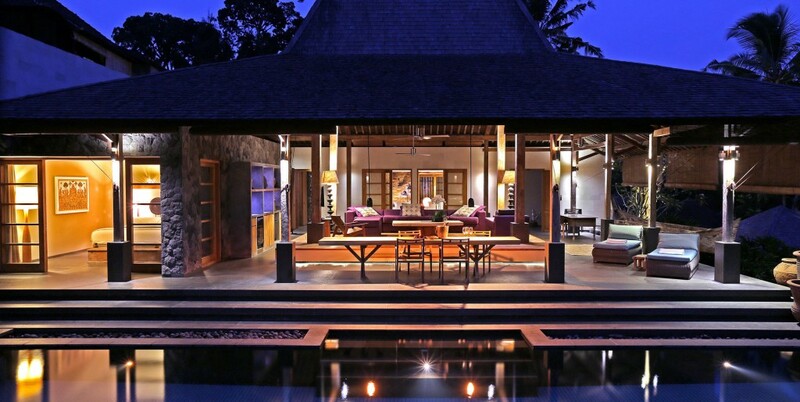 The Purist Villas & Spa is a luxury boutique villas resort in Ubud Bali. The cultural and spiritual centre of Bali, this exceptional spa-villa facility is devoted to health, beauty and wellness. Designed for optimal comfort and romantic appeal, each villa features an open living and dining environment. Wooden sundecks lie beside the pool which is surrounded by tropical gardens, offering an intimate and relaxed setting, perfet for honeymooners. In the Hindu belief, balance and harmorny are the central elements of life. This creed is at the very essence of the Purist Villas and Spa experience. 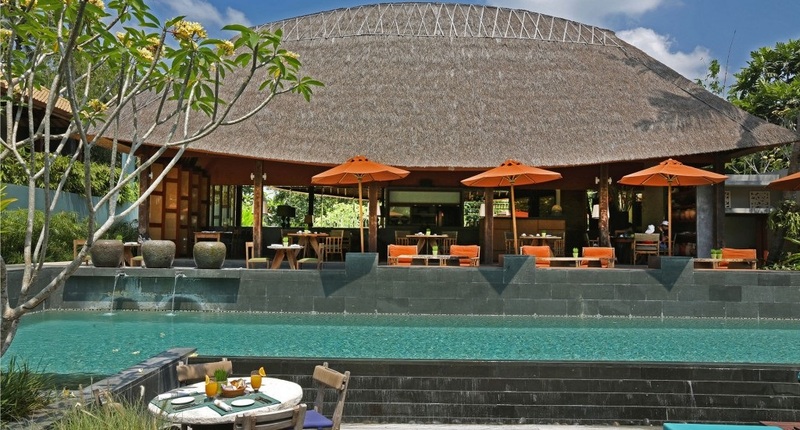 The Garden Residence comprises two Bali luxury villas, situated around a private luxury pool. Each villa features an open living and dining area and wooden sundecks with sun loungers. The Pool villa Is a modern, Balinese style villa, and boasts a king size bed. Glass doors are opening directly to the pool, surrounded by bamboo walls and a tropical garden with on one side the sundeck, with two double sun loungers. The bathroom with a stone bathtub and half open air shower room is decorated with limestone. The Timor villa is a big and antique wooden house from the island of Timor, and is completely renovated with modern features, for optimal comfort. The other side of the living room has big wooden doors, opening to the pool area. If rented separately, these doors will be kept closed, so that each villa offers optimal privacy. RIVER RESIDENCE The River Residence comprises two villas, connected by a royal covered but half open living with lounge sofas. A small river is streaming almost through this relaxing area, and brings a peaceful atmosphere by the sound of streaming water. The two villas are identical. They have both a modern and minimal design, and are decorated with various Balinese art and objects. One villa has a king size bed, and the other villa has the possibility to change the beds into two twin beds. The bathrooms give you the feeling of being in your own spa. 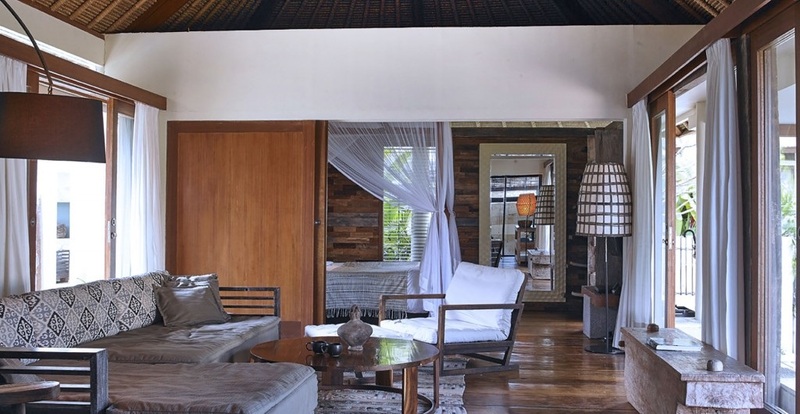 At a split level part of the villa you will find the master bedroom with a four posted king size bed.The two rooms are connected by a five meter high ceiling with an ‘alang-alang’ roof. (This is a typical Balinese roof knitted from straw). They share a half indoor and outdoor bathroom with a stone bathtub and separate shower room. The living room has glass doors at two sides opening to a wooden sundeck with a covered dining area.This impressive house is decorated throughout with wood carvings and is built on a hill with an open view. 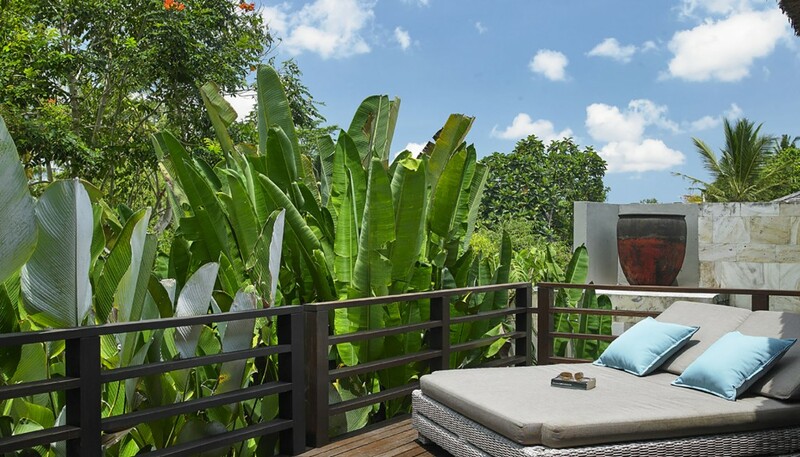 However privacy is assured due to its lush tropical garden. 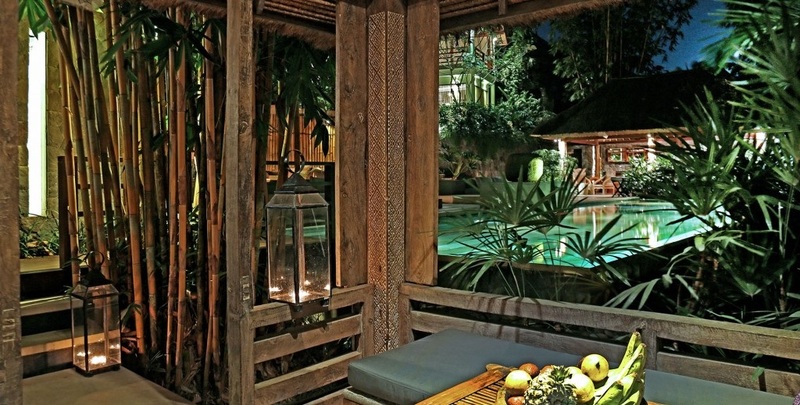 Ubud is also the location of some of the world’s most famous and elegant 5-stars hotels, typical Balinese food restaurants, as well as yoga, spa and well¬ness centers.